As most of you are aware, our Consul General Nuno Mathias, will be leaving us this Summer 2017 after 5 years of incredible service to our community. He has been a great friend and has honored us with his presence at many of our past events. We owe him a grand gesture of thanks and appreciation, and wish him well in his new prestigious position with the Portuguese Delegation at the United Nations in New York. A beautiful mass and lunch is being planned by the “Portuguese Community” on Saturday June 11th for an afternoon of celebration with food, fado by the famous Rodrigo Costa Felix from Lisbon, and we will also be honored by the presence of Ana Luís, the President of the Government of the Azores. 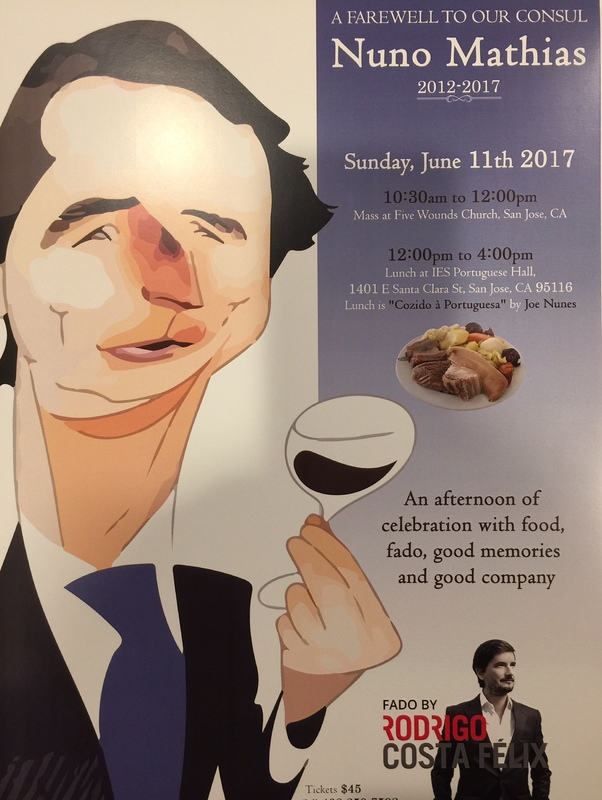 Please join us at this luncheon and show your appreciation from the Macaense community.